The Gojo-Tenjin shrine in the Ueno Park is one of the important shrines in Tokyo dedicated to Tenjin, the kami of scholarship and learning. There’s also has a secondary shrine, the Hanazono Inari Shrine, dedicated to Inari, the kami of fertility, rice, agriculture and industry. 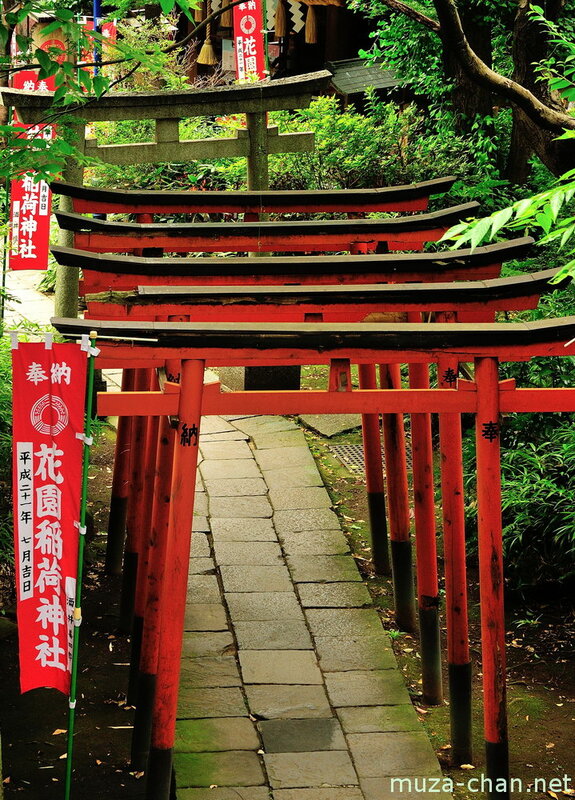 One of its entries is marked by a multitude of torii gates, all donated by companies or families as gratitude for success.